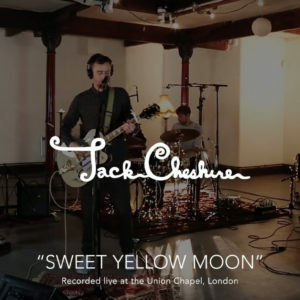 Back for another Sound Network Studio Session, here’s Jack Cheshire and his band performing “Sweet Yellow Moon” at the Union Chapel in London. Earlier this summer, during the same session, we recorded Jack performing “Gyroscope”, which can be viewed here. Recorded with over 24 beautiful channels of DPA Microphones across all instruments, amps, drums and vocals. Watch the interview with recording engineer Les Mommsen to find out more about the process of recording the band.